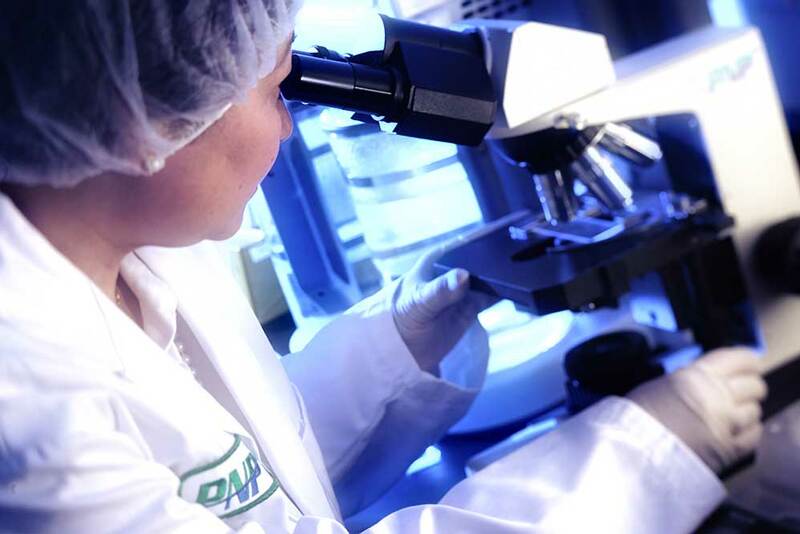 PNP Pharmaceuticals is a unique contract manufacturer of nutraceutical and pharmaceutical products. We are a highly accredited company with an emphasis on quality and service, on a level which sets us apart from our competitor. From the minute, you enter our facility or speak to us via telephone our commitment to excellence is clearly evident. We are simply different, from our unrivaled service, knowledge and expertise, and overall quality, to our professional yet friendly demeanor. We are a young, energetic, and exciting company that strives to be the best at what we do; manufacture quality products. Mr. Glen North founded the company in 1999 under the name Pacific Natural Products Inc. PNP has rapidly grown to become one of Canada’s largest contract manufacturers of nutritional supplements. In 2007 the company changed it’s name to PNP Pharmaceuticals Inc. to better reflect the current scope of services provided. Today PNP Pharmaceuticals manufactures Nutraceuticals and OTC products for markets worldwide. PNP Pharmaceuticals' commitment to excellence begins with genuine dedication of each and every employee. We diligently perform our specific duties without compromise to ensure all products manufactured are of the finest quality possible. We at PNP Pharmaceuticals are strong in our convictions to see our commitments are never compromised, for that reason we promise that ethics will always take precedent over profits. Our newly constructed facility is over 78,000 square feet in size located in Burnaby, British Columbia, Canada. We are 15 minutes from Vancouver International Airport and only 20 minutes from downtown Vancouver. Negative pressure Hepa filtered air throughout all production rooms to eliminate cross contamination. 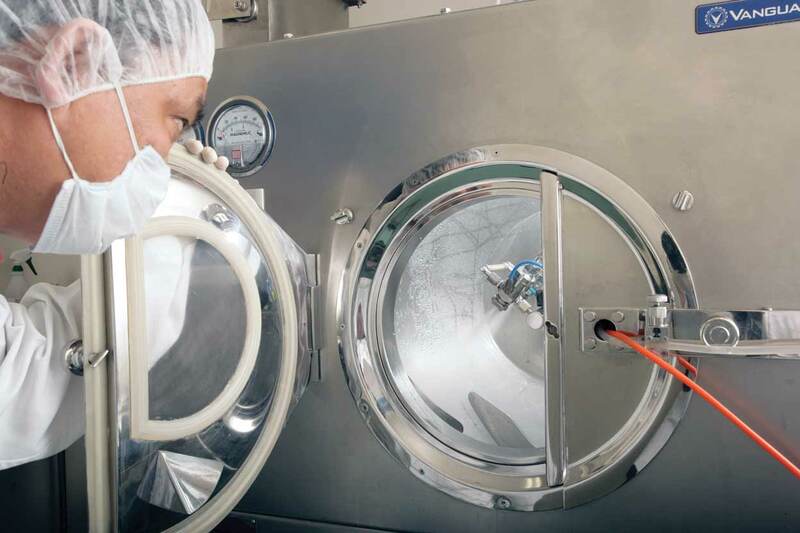 Production area air is supplied with 100% sterile air via UV light system. Production area floors are chemical resistant MMA with coved corners for durability and ease of cleaning. Our facility was designed for function as well as employee comfort therefore extra glass was incorporated wherever possible to give the production area a staff friendly feel. PNP Pharmaceuticals has brought together a talented team of professionals that collectively bring a wealth of knowledge from their specific fields of expertise. 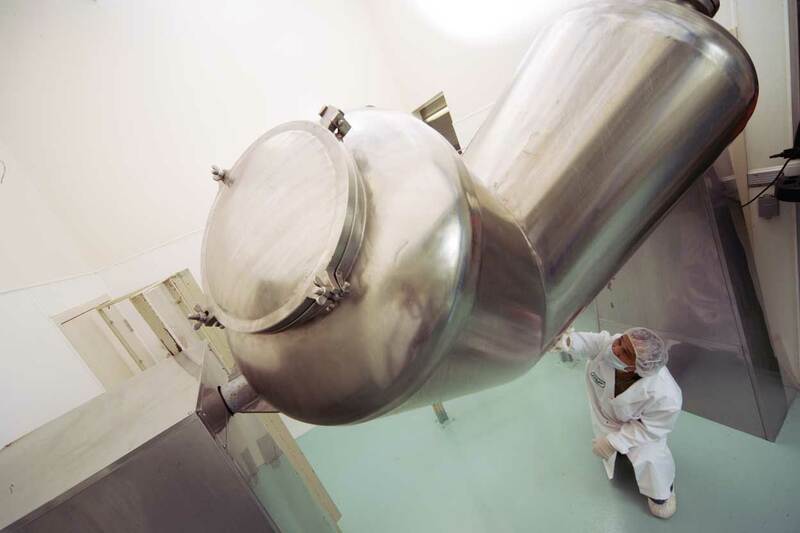 We are industry leaders in encapsulation with the ability to produce over 10 million capsules per day. We have all new high speed fully automatic as well as semi-automatic capsules fillers to do both large and small runs. Our extensive capsule filling equipment allows us to produce capsule sizes #4, #3, #2, #1, “0” and “00”. We can offer a choice of colour or have your logo printed on the capsule. Capsules are available in vegetarian, bovine gelatin or porcine gelatin, and Halal and Kosher certified if required. Two piece hard gelatin or vegetarian capsules are the preferred and most common solid dosage form in the nutraceutical industry, because they have some advantages. Two-piece capsules are preferred by consumers, get products to market faster and use less excipients. Tablets comprise the largest group of delivery systems for all prescribed and over-the-counter (OTC) medications. Reasons for the popularity of tablets include the ease of accurate dosage and the good physical/chemical stability because of low moisture content, as well as the competitive unit production costs and the easily identifiable, elegant distinctive appearance. We can custom design tablet tooling for specific shape or size along with company logo or product name embossed into the tablet. 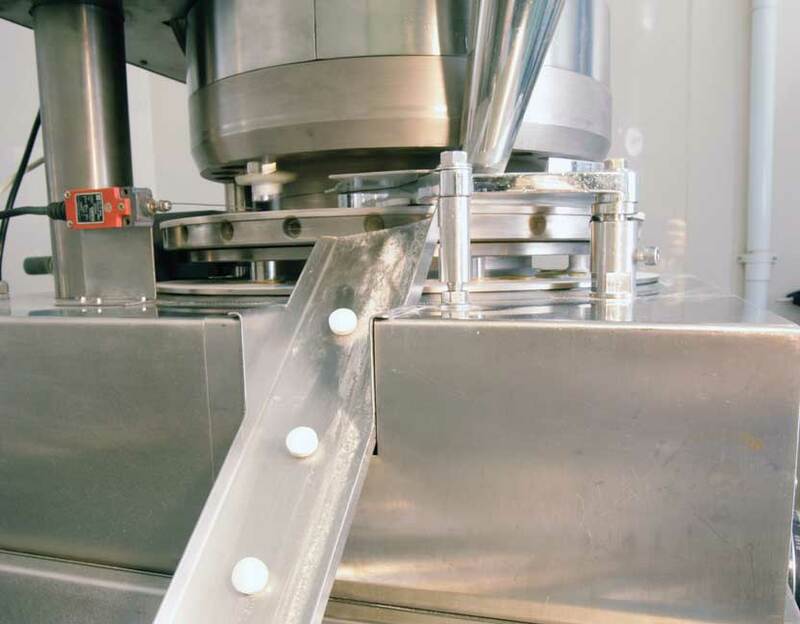 We have a high speed blister packaging line that can accommodate all of your blister packaging needs. Our online printer can print your logo, company name or anything else you require on the back of each blister pack. We can produce a custom blister card to your requirements with little lead time. Our high speed cartoner is capable of erecting the carton, inserting the blister card(s) or bottle, inserting a pamphlet, printing LOT/Exp, and sealing the carton at a speed of one every second. We can assist you in design and printing of the carton or just let us do it all. We have three fully automatic high speed bottling lines that can accommodate any size or shape of bottle and/or cap. 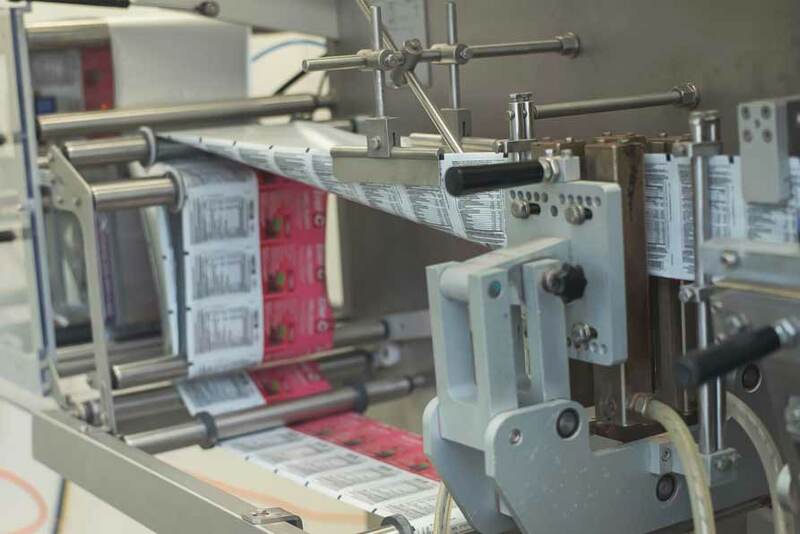 Our lines include bottle descrambling, high speed counting, dessicant dispenser, cotton inserter, capper, induction sealer, neckbander and automated shrink wrapper. We have the ability to produce single serving pouches or sample packs with powder or multiple capsules or tablets in large or small volume. Our pouching equipment can accommodate a minimum pouch size of 63mm x 94 mm (2.5” x 3.75”) to a maximum size of 112mm x 150mm (4.5” x 6”). Our equipment has the versatility to pouch in a variety of material including foil, paper, and poly. We can liquid fill custom shaped sachets for easy single dose applications, such as cough syrup or energy gels. 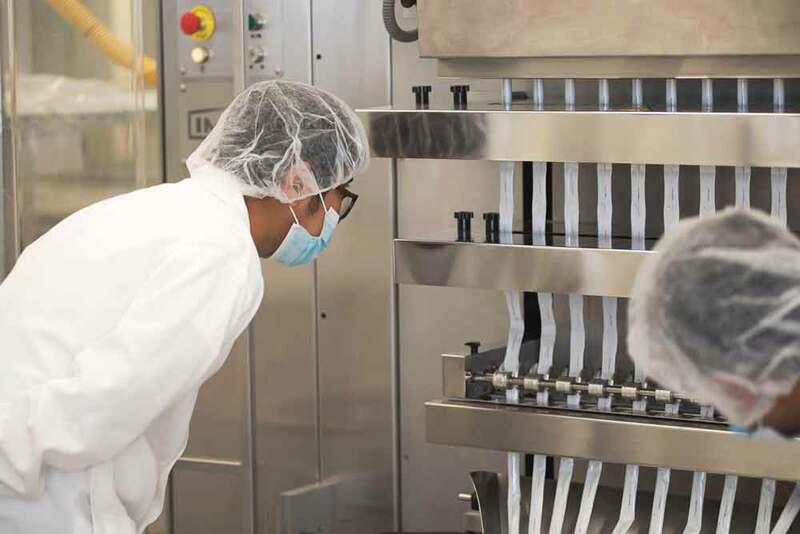 Our high-speed stick packaging equipment can produce over 800,000 sticks per day and accurately dose both pharmaceutical and nutraceutical powders. Stick packs are ideally suited for single dose applications from 0.5 grams to 10 grams, depending on material bulk density. To consistently produce a product of high standard you must first begin with a Master Formula. A quality Master Formula may take extensive R&D to ensure the formulation meets all specifications. A correctly formulated Master formula ensures that the product: meets all product specifications (dosage, disintegration, stability, etc. ), can run successfully on specific equipment, has an elegant appearance, can be readily duplicated. PNP Pharmaceuticals has the expertise to formulate most any dry dosage form, such as, capsule, tablet, and powder. From the simple to the most complex formulations our experienced formulators can confidently fulfill your requirements. large ribbon blenders - with a maximum blend capacity of 1500kg (3300lb). large V-blenders - with a maximum blend capacity of 500kg (1100lb). small offset twin cone blender - with a maximum blend capacity of 100kg (220lb). All blenders are custom manufactured from high quality stainless steel and meet or exceed all GMP requirements. Our coating system allows us to film/enteric coat tablets, softgel capsules, two piece hard gelatin capsules or two piece vegetarian capsules. We can colour coat your product to match an existing product colour or develop a new colour to your specifications. Speed, efficiency and service are meaningless without the most important component of all, QUALITY. At PNP Pharmaceuticals we are always industry leaders in implementing new methods and technology to ensure quality is ever-present. As a GMP company, ALL vendors are rigorously screened and qualified before given an approved vendor status. All incoming raw material is immediately received into quarantine and immediately sampled. Sampled raw material is sent to accredited third party laboratory and tested for identification, potency, chemical and microbial contaminants. Results are analyzed to our client’s specifications and either approved or rejected. Approved material is electronically released into inventory to await manufacturing. As material is dispensed for manufacturing our computer system electronically monitors the material, checking for correct raw material, quantity dispensed and valid expiration. This system reduces the chance of human error. 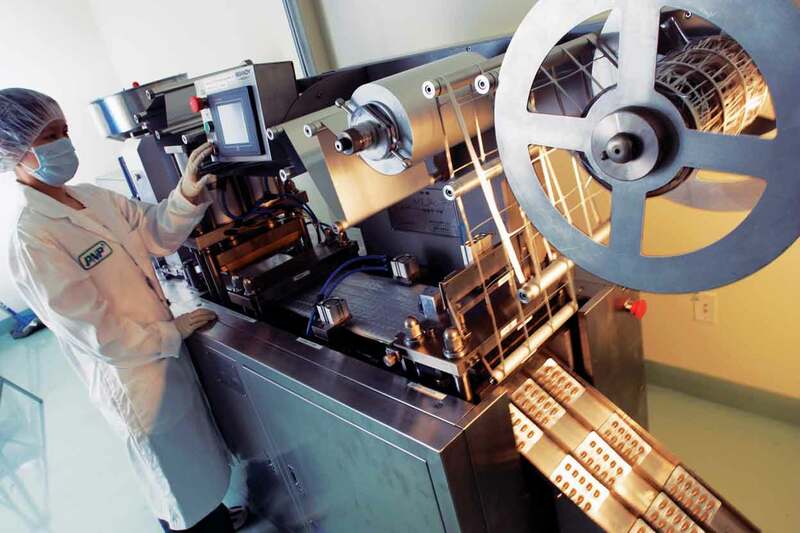 Throughout the manufacturing process, our QA/QC personnel performs in-process sampling and in-house testing to ensure uniformity to our specifications. In-house testing may include but not limited to disintegration, hardness, friability, and weight variation. The product in bulk form is tested by third party laboratory according to applicable specifications. If all tests meet applicable specifications, the manufactured product is released for packaging or shipment in bulk. During the packaging phase, again our QA/QC personnel perform in-process sampling and testing (such as fill accuracy, integrity of seal, label verification, and correctness of lot number and expiry date) to ensure conformity to specifications. If all specifications are met the product will undergo finished product testing before being released for shipment. Under the NHPD regulations set forth by Health Canada all manufacturers of natural health products must have a valid Site Licence to fabricate and/or package nutritional products. PNP Pharmaceuticals holds the honor of being one of the first manufacturers to be issued a Site Licence in Canada. 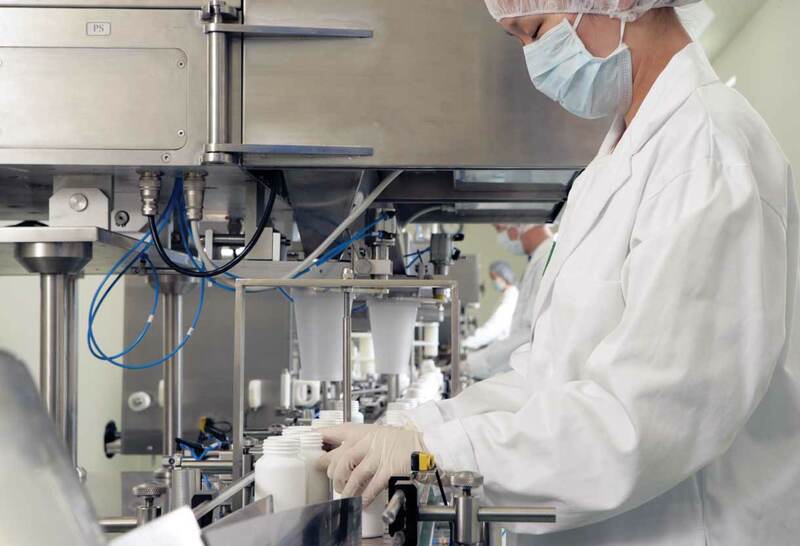 Regulations set forth by Health Canada state all manufacturers of drug products must have a valid Establishment Licence to fabricate and/or package drug products. PNP Pharmaceuticals holds a valid Establishment Licence permitting fabrication and packaging of such products. For the fabrication and packaging of ephedrine and pseudoephedrine products. The GF logo stands for the independent verification of quality, integrity, and purity of products. Products carrying the GF logo represents the unmatched reliability for meeting strict gluten-free standards. GFCO is one of the leading gluten-free certification programs in the world. BRC initially developed its Global Standard for Food Safety in order to help the food industry meet legislative requirements of the EU General Product Safety Directive and the UK Food Safety Act. This standard is recognized as a GFSI (Global Food Safety Initiative) benchmarked food safety scheme and has been accepted by 8 major international retailers: Carefour, Tesco, ICA, Metro, Migros, Ahold, Walmart and Delhaize. 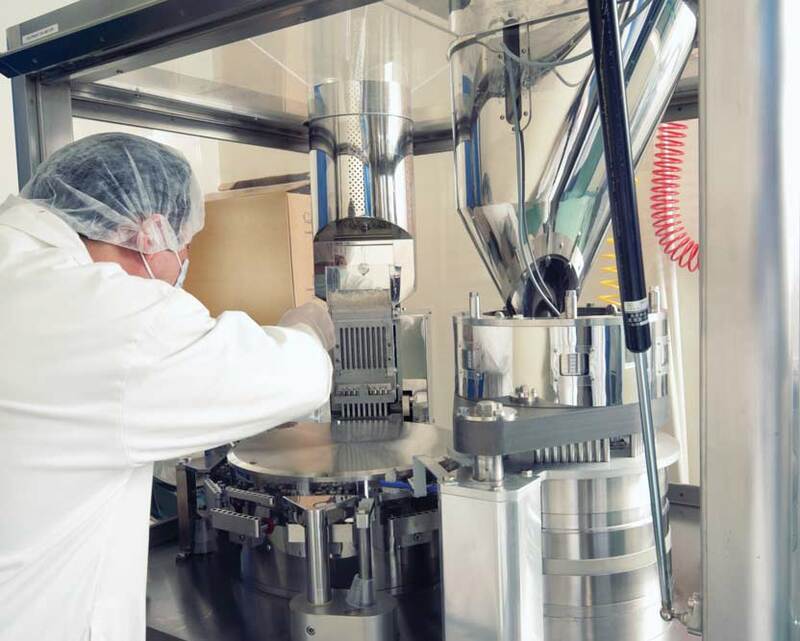 Located in Burnaby, BC, PNP Pharmaceuticals is contract manufacturer of pharmaceutical nutritional products. We are a growing company always looking for talented and energetic individuals to join our team and share our vision. At PNP Pharmaceuticals, we believe in recognition, inclusion and diversity for a better workplace. We are committed to doing the right thing for our employees, clients and other stakeholders. Explore our current job opportunities and apply to be part of the PNP team.